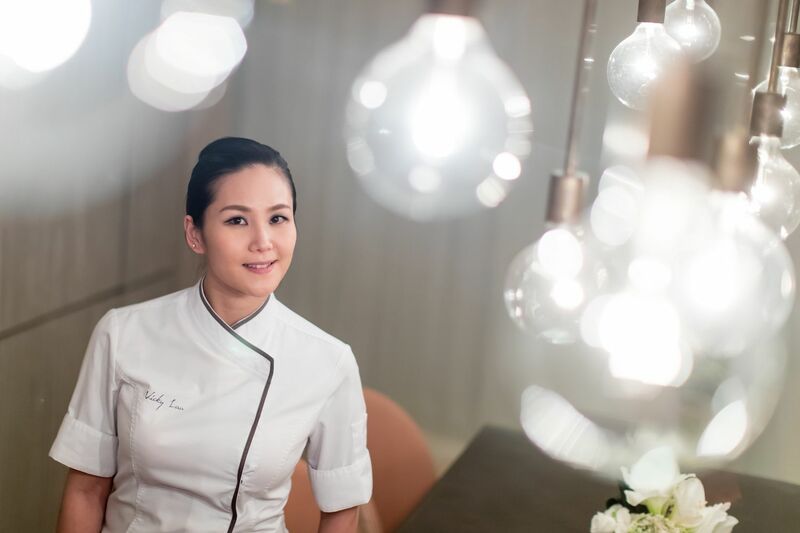 As soon as you step inside Vicky Lau’s revamped fine-dining restaurant, Tate Dining Room & Bar, you can sense that the space is a new chapter for her both personally and professionally. 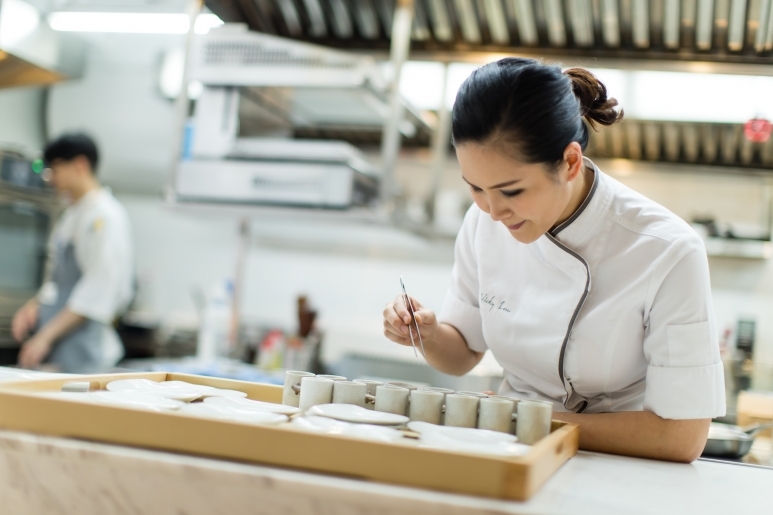 Now located at 210 Hollywood Road in Sheung Wan—Vicky has paid meticulous attention to every detail from the furniture and light fixtures, to the plating and the draw built inside each table setting for you to store your mobile phone. I was born and raised in Hong Kong, so this city has inspired me through the sights, smells and flavours. I believe my roots are present in the food that I create. Simply put—Hong Kong is my inspiration. Tate Dining Room & Bar is a blank canvas whereby I can create new and exciting things to share with the world. It allows me the opportunity to embrace past, present and future sensations. I can tell tatler_stories through every bite of my food. 3) What do you love most about running your own business? Being my own boss, I'm able to make decisions that directly affect my business and myself. For example, we recently invested in a water filtration system that decreases our carbon footprint. I have made leaps and bounds in the past year, both professionally and personally. Tate Dining Room & Bar recently moved from our humble beginnings on Elgin Street to a new location at 210 Hollywood Road. I have also recently given birth to a beautiful baby girl named Kory. She inspires me every day to be more than I am, and she humbles and surprises me by what she can absorb. I am honoured to see her grow and prosper into a fantastic little person. Keep an open mind and learn about as many cultures as possible. The world is so full of amazing tatler_stories and sensations—to only stay in one place and learn one culture is to rob yourself of the full human experience. Develop your own style, be it in fashion or business, as putting your own sense of self in your product ensures that your customers will always know who you are. 6) As an entrepreneur, what do you think sets your business apart from the competition? Tate Dining Room and Bar is my dream, and what we sell is hope and inspiration—a true testament of what working hard can produce. In every plate I give it my all, whether it’s everything I’ve ever experienced, both happy and sad memories, these are ever-present in my products. I’m willing to expose my emotions and share them with you and I truly hope that every bite you take leads you into a story about my adventure so far. My mentor chef Sebastien Lepinoy inspires me, not only through his cooking techniques, but the importance of detail and being mindful. His cooking philosophy, and it’s one that’s shared in all the arts, is that simplicity is the sign of perfection. No, I believe everything happens for a reason. I learn every day from the mistakes I make; I learn to do better and to do more. This is an on-going adventure; to change the past would be to alter the outcome. For me, my goal has always been to inspire and to be inspired. Strive for the best you that you can be. 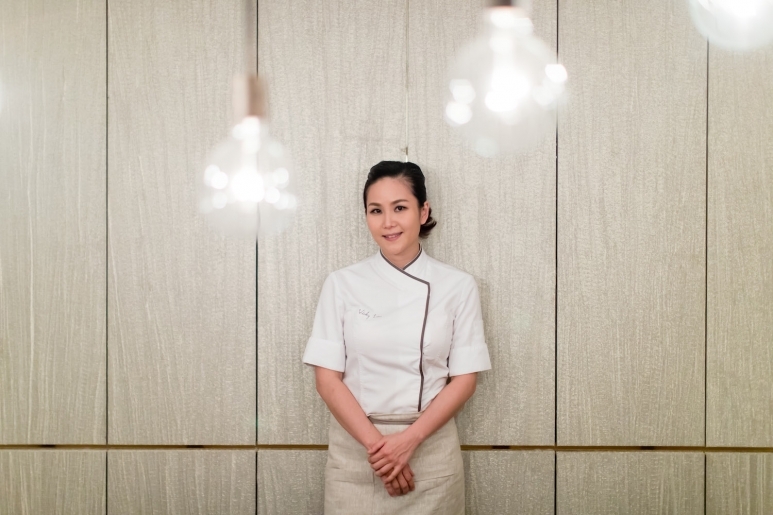 See more Tatler 10 interviews featuring Hong Kong entrepreneurs including Joanna Lui, Brandon Chau and Nancy Fung.